The University of Nottingham Trent , United Kingdom is pleased to announce the 2016 Brenda Howe Africa scholarship. The scholarship is open to all postgraduate courses offer holders from Africa holding offers to study at the University. This scholarship award covers full tuition fees. The University is delighted to offer the full fee Brenda Howe Africa Scholarship for African students starting a course, undergraduate or postgraduate, at the University in September 2016. The scholarship is intended to cover the full tuition fees for the duration of the study. The scholarship is mostly for Africans. Must be of an African nationality. (full / part) are not eligible to apply for this scholarship award. Applicants are only able to apply to the Brenda Howe Africa scholarship once per academic year per offer of a place on a qualifying course. Scholarships are very competitive and selection is based on the information you provide on the application form. So therefore,it is of great importance that you give your personal statement careful thought and preparation and you refer to the criteria provided. All Citizens of any African nationality. All courses offered at Nottingham Trent University are eligible to apply. This is a financial aid covering your stay at NTU. The University reserves the right to revoke the scholarship if you leave the University before completing the program. Scholarships of up to full-fee are available. Scholarships will be available in the form of a tuition fee reduction. 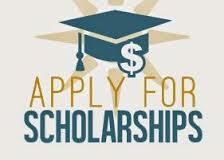 If you are awarded a scholarship your tuition fee will be adjusted before enrollment. Although the Brenda Howe Africa Scholarship will cover the full amount of your tuition fees, but note that you will need to be able to pay accommodation fees and other general living costs yourself. Only the official application form (found on the official website) can be used to apply for the full-fee Brenda Howe Africa Scholarship. Complete this application form – make sure you fill in all sections. Then, send your completed form tointernational@ntu.ac.uk before the deadline date (see below). The scholarship will only be awarded once an applicant accepts and meets the conditions of their offer, accepts their scholarship offer and is eligible to enroll on the full-time undergraduate or full-time postgraduate course. It is important to visit the official website (link to it is below) for complete information on this scholarship, and also to access the official application form. There is one scholarship application deadline for the Brenda Howe Africa scholarship. This is the final deadline of 4 pm GMT 22 June 2016. Any applications after this date will not be considered.